World-renowned biotechnology expert Chua Nam Hai is returning to Singapore with the ambitious goal of helping to solve the world's problems of hunger by producing super plants. Professor Chua, who has lived in New York since 1971 when he joined Rockefeller University, has been studying a class of ribonucleic acids (RNAs) in plants which respond to stresses caused by the environment and other living organisms. 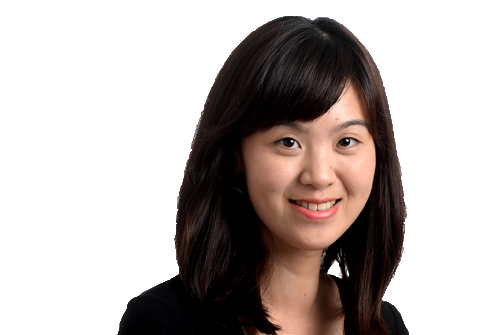 And the returning scientist hopes to take it further in the Temasek Life Sciences Laboratory (TLL), a non-profit research institute funded by Temasek Trust, by studying molecular biology and genetics in model organisms. Prof Chua, 71, has been deputy chairman of TLL's management board and chairman of its research strategy committee since 2013 but has kept his ties to Singapore for far longer. "Because of my frequent visits during the last two decades, I remain connected to life in Singapore and, hence, I expect the transition to be smooth," said Prof Chua, who will return to Singapore once he ties up his research at Rockefeller University. Prof Chua says the scientific intellectual environment in the Temasek Life Sciences Laboratory is excellent. At Rockefeller, he heads the Laboratory of Plant Molecular Biology, and is Andrew W. Mellon Professor, investigating the role of long noncoding RNAs in the way they respond to droughts caused by climate change, among other stresses. RNA acts as a messenger in the body by transferring instructions from DNA to produce proteins. In long noncoding RNAs, however, proteins are not produced. Such RNAs are not fully understood, even though they have been implicated in important biological processes. But Prof Chua is on to something. His lab had earlier discovered a specific group of long noncoding RNAs which are highly responsive to drought stress, suggesting that they could play a regulatory function in how plants adapt to such situations. To find out if this is true, he will be creating experimental plants under a new research programme in TLL that are either deficient in this specific group of RNA molecules or over-expressing them. "I plan to investigate the functions of these long noncoding RNAs, which can be used as tools to open up new strategies to develop crops with enhanced drought tolerance and crops with more efficient utilisation of fertilisers," said Prof Chua. "We believe that the result from these experiments could contribute to global food security as it helps to create sustainability and resilience in food supply." The findings could also help Singapore, which produces crops such as leafy vegetables, albeit on a smaller scale. With climate change and increasing population growth, it has become pressing to develop solutions and innovations for agricultural produce with better yield and higher tolerance to environmental stresses. Though still based in the United States, Prof Chua in 1995 set up the Institute of Molecular Agrobiology (IMA) in Singapore which was later merged with the Institute of Molecular and Cell Biology to form the TLL in 2002. The IMA was set up to make Singapore an agro-technology centre for the Asia-Pacific region. He said: "The scientific intellectual environment in TLL is excellent and the institute has maintained world-class research facilities. "Given these favourable conditions, I expect to continue our research projects in TLL without difficulties." Prof Chua had said earlier that his decision to base himself and his family in the United States in 1971 was so that he could continue his work in New York. "Research opportunities and infrastructure (in Singapore) were not optimal at that time," he had said in a 1999 interview with The Straits Times. But he said that was a few decades ago. "If the conditions were the same as they are now, I would have stayed."